KAMPALA, May 24 2011 (IPS) - Very soon wives in Uganda will legally have the right to a share in their husband’s property, that’s if the country’s new speaker of parliament has her way. 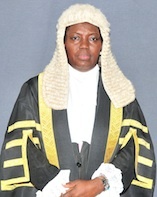 Rebecca Alitwala Kadaga (55) is changing the country’s political landscape and making history by becoming the first female speaker of Uganda’s parliament on May 19, 2011. And one of the first things she will do as speaker will be to ensure that parliament enacts the Marriage and Divorce Bill 2009 into law. The bill, in various forms, has been under consideration for forty years. Once enacted, the bill will recognise co-habitation in relation to property rights, among other things. The Marriage and Divorce Bill 2009, which also seeks to consolidate laws relating to marriage, separation and divorce lapsed with the end of the last parliament. The bill was being considered by the Legal Affairs Committee of parliament but it could not be considered by parliament as its term ended on May 18. It has been a practice that unfinished business from the previous parliament is not considered by the new one. Kadaga, however, says she has studied parliament’s rules of procedure and discovered that this practice is not law and the bill can be reintroduced. “I have heard people say that this bill cannot be debated under this parliament. That is wrong. I have looked at our rules and I don’t see any provision that business of the past parliament cannot be considered by this parliament. The women should rest assured that the law will be considered under the current parliament,” she said. This is not the first time that Kadaga has been involved in issues of women’s rights. In the past she has been involved in a campaign that led to the abolition of female genital mutilation in Uganda. Kadaga said she will ensure that the bill is debated and enacted into law before the end of her first year as speaker. The new cabinet has to go through a lengthy procedure to have the Marriage and Divorce Bill 2009 reintroduced in the new parliament. Kadaga is no stranger to parliament. She has served as the deputy speaker for 10 years before her party, the ruling National Resistance Movement Party, endorsed her to run for speaker. She ran against the opposition Forum for Democratic Change Party’s Nathan Nandala Mafabi. She defeated him by 302 votes to 57, showing that she had the support of members from both the opposition and ruling parties. Elijah Okupa, a member of parliament (MP) from the opposition told IPS that Kadaga deserved the elevation given her track record. Kadaga was one of 120 women elected to parliament during the elections, an increase from 102 in the previous parliament, which saw 31 percent female representation. Kadaga, a lawyer by profession who has a Master of Arts specialising in Women’s Law, promised to be a speaker for all MPs, regardless of their political affiliation. Gender activist Solome Kimbugwe Nakawesi said Kadaga’s election was a positive step to women’s emancipation in Uganda. “We are excited by her election. It has shifted the tables of this country. It changes the whole syndrome of deputising that had befallen Ugandan women. It has been practice the even the best caliber of women are always deputies to men. Her landslide victory brings a new dimension to women’s emancipation in Uganda,” said Nakawesi. Patricia Munabi Babiiha, the executive director of the Forum for Women in Democracy, a non-partisan women’s organisation, was excited that their campaign to have a woman leading Uganda’s parliament has finally yielded fruit. “For us the election of Rebecca Kadaga is exciting because we have few women in Uganda holding key positions, apart from parliament. We acknowledge that in parliament we have reached a thirty percent parity level. But when it comes to ministerial posts and other jobs, we have not reached it,” she said. Babiiha said there are efforts to raise the number of women in parliament from the current 31 percent to about 40 percent in the next parliament as they strive to ultimately attain the 50 percent female representation specified in the Solemn Declaration on Gender Equality in Africa. Mary Karoro Okurut, an MP and spokesperson of the ruling National Resistance Movement Party, said Kadaga’s election is a huge indicator of the increasing importance of women in Uganda’s political domain. “It must be noted that Kadaga has not been elected just because she is a woman; we are not taking affirmative action here. She is elected for the simple reason that she is a competent person in her right,” said Okurut.